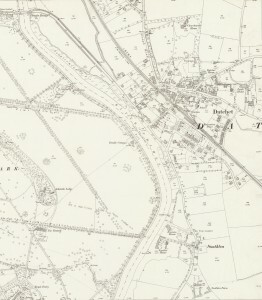 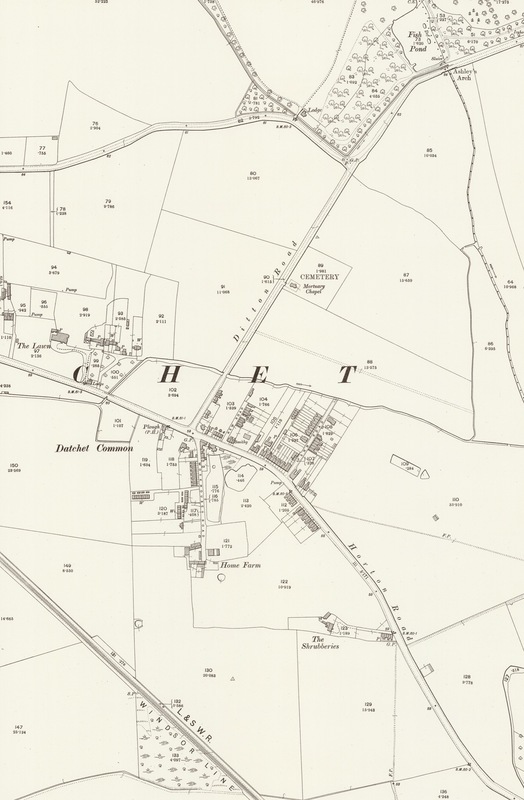 Not all the 1899 map sheets for Datchet are available, but the 1912 north-western sheet is a good substitute as little had changed in the years between. 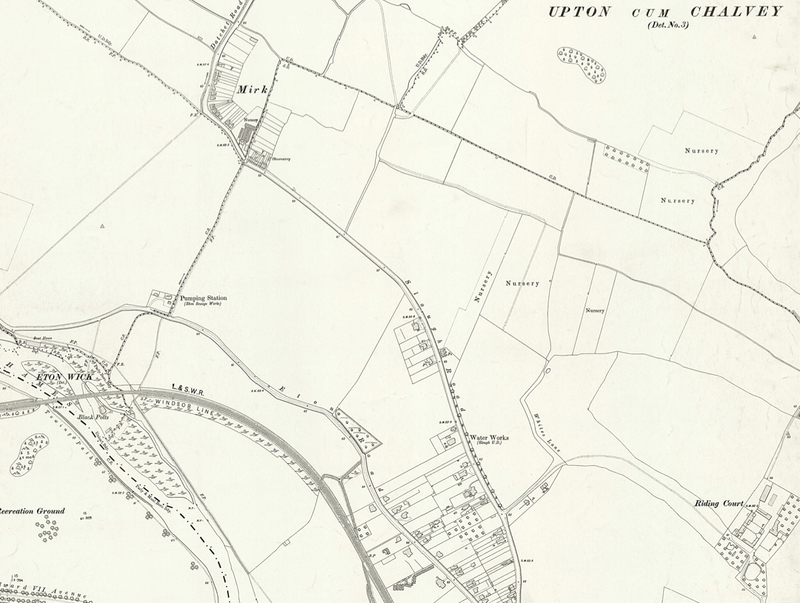 Ordnance survey maps were not completely redrawn for each new publication but based on previous versions and updated. 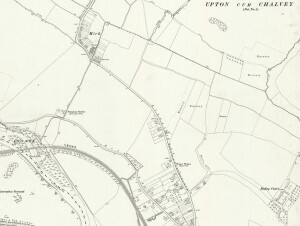 The most recent changes will have been made a few years before the final date, so that a house appearing here for the first time will have been built ‘by 1899/1912’. 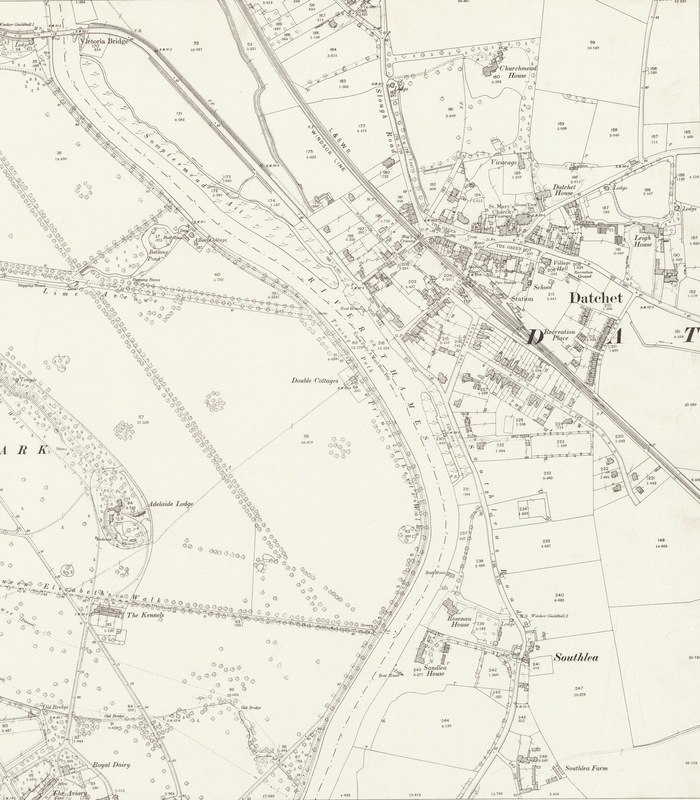 These are significant maps because most of the post-1875 development had taken place by this time; compare with the 1868 map which was surveyed before farmland was sold for housing. 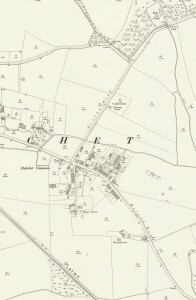 And it was not until the 1930s that a similar development of new roads and houses took place around Datchet.